But what is it? 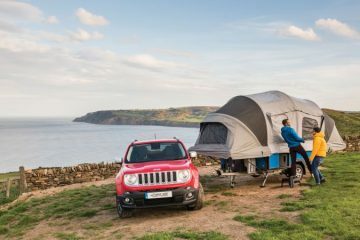 The Opus camper is a clever, foldaway that is set on a trailer that can be easily towed by a car. 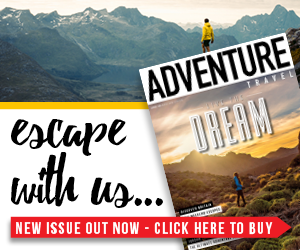 It may look compact, but (we’re not sure how, probably by the power of sorcery) it’s kind of like walking into the Doctor’s tardis when you step inside – it’s even got fancy gadgets too. 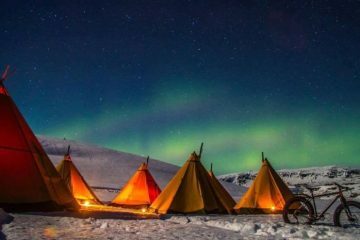 Oh boy, there’s not a tent in the land that will offer you this kind of next-level luxury. 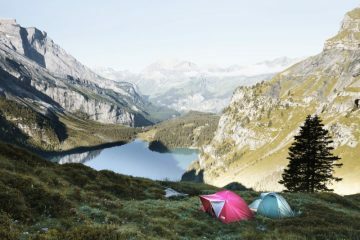 Feel like camping kings and queens with this plush and functional tent, made to the highest standard. 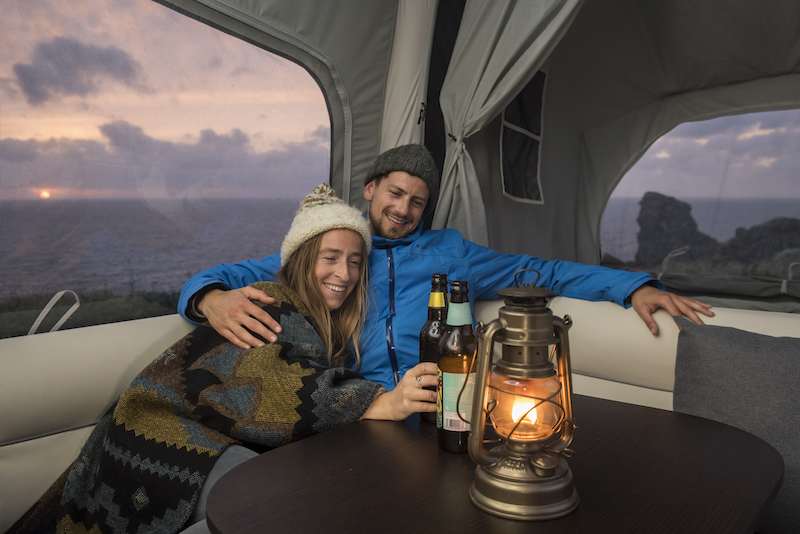 Windows, sky lights and LED lighting gives effortless style, and the Opus also has two double bed areas (set within privacy tents), comfortable leatherette surround seating and a demountable dining table. The Opus doesn’t just look light and spacious – it is. 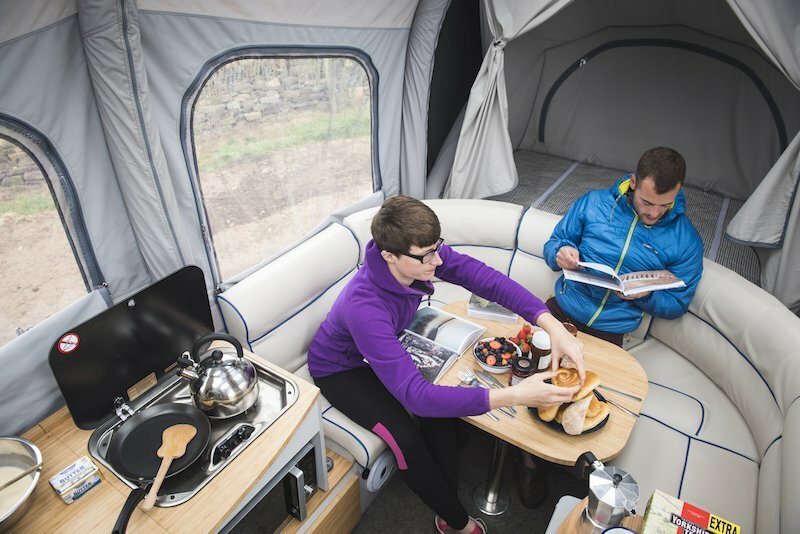 The camper tent offers two and a half metres of headroom, so all the family can comfortably stand up inside, and the leatherette seating area will comfortably seat everyone around the dining table. Once you’ve finished with dinner you can collapse and store the table away, creating additional room for the living area. 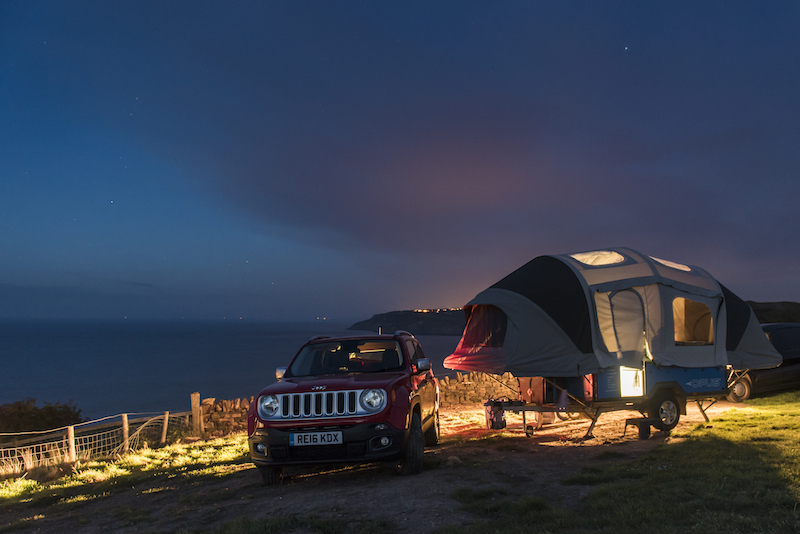 There’s also the option for an awning, should you choose it as an extra. With 12v and 240v electrics, power sockets and USB charging, you’ve got all the power you need in this bad boy. 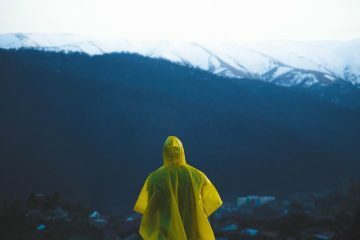 So you can happily bring things like your hairdryer, coffee maker, straighteners, phone charger or smoothie maker on your camping trip – now that’s camping in style! There are also some pretty nifty extras such as WiFi, a sound system, cinema system and an interior motion alarm should you wish to choose them. You can even choose mattress toppers for additional comfort. The Opus offers two double beds, set within their own privacy tents, so you’re pretty much sleeping in your own bedroom. The ‘bedrooms’ have windows, so you can let in the light and watch the stars if you wish, but you can draw the roll up blinds to get complete privacy when you want it. 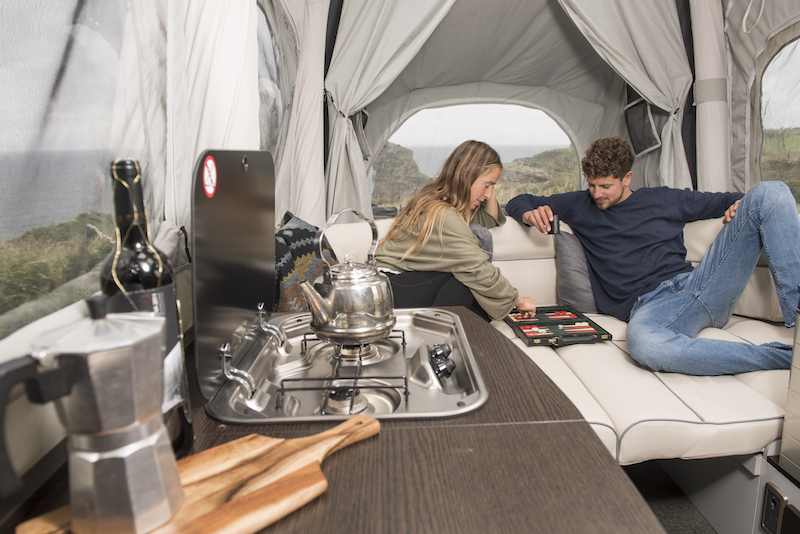 Cooking up a feast for your family or friends in the Opus camper is no issue with its stainless-steel sink with running water, two burner gas hobs, a kitchen worksurface with a drawer unit and a cabinet mounted refrigerator. There’s even room for you to add a microwave should you wish to choose it from the extras list. 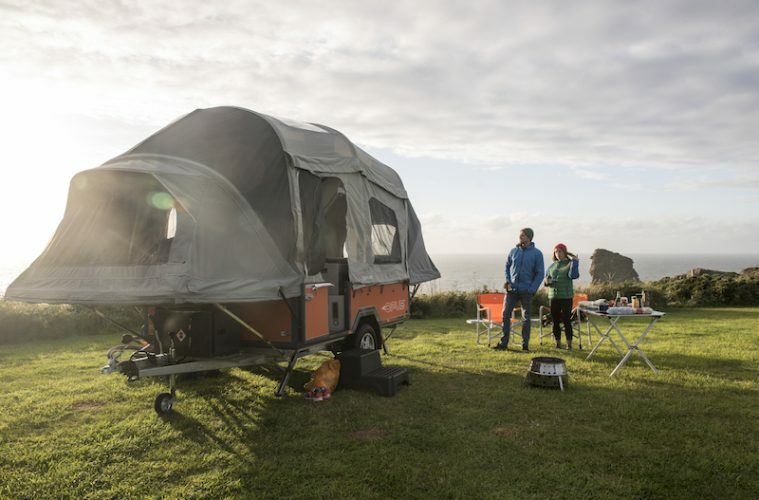 The Opus camper is constructed using a heavy-duty canvas, which is designed to be watertight and withstand the elements, while it’s also fully-insulated. This paired with the camper’s electric heating makes for one cosy little camping home, should the weather take a turn for the worst. 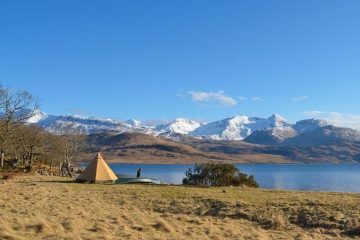 So, say goodbye to leaky tents and sleeping in jumpers and socks! 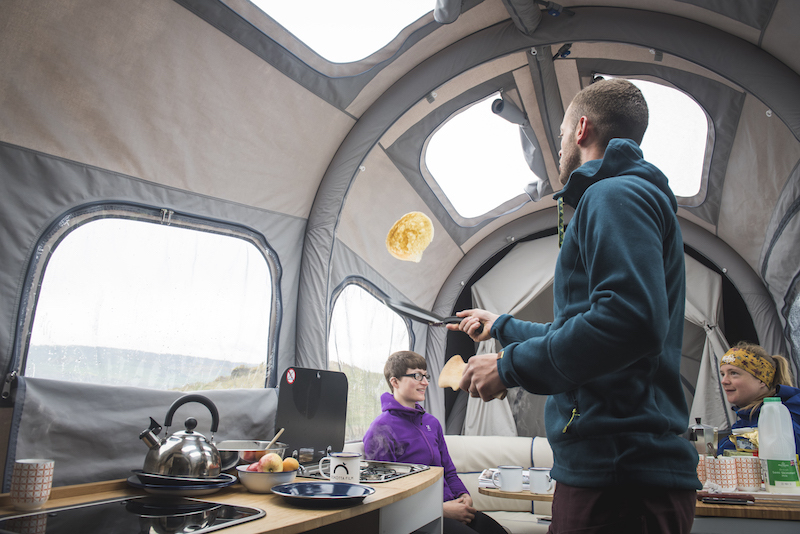 Want to get your hands on a functional, comfortable and stylish Opus camper? Then head over to the Opus website to check out more incredible features, options and all of the technical stuff. 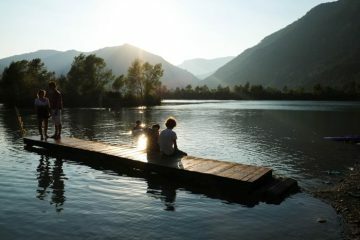 You can also download a full information pack.